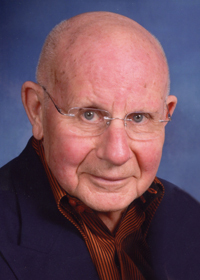 Theodore Clinton Lee, 85, passed from this life into the loving arms of his Lord and Savior on April 10, 2019, at the Iowa Jewish Life Center - Memory Care Unit. Ted was born May 7, 1933, at Mercy Hospital in Cedar Rapids, Iowa to Nels Joseph and Augusta Christine Lee. He graduated from Roosevelt High School. After a very short life of crime, he found himself in Eldora School for Boys where he not only ended up learning the printing trade, but upon a visit from the Gideons, he accepted Christ as his personal Savior. Ted was drafted into the Army in April 1953, where he was a Korean War Corporal and was honorably discharged in 1955. Ted met the love of his life, Marilyn Louise Povlick at Danceland Ballroom in June of 1955. They were married in January 1956. Ted and Marilyn were members of First Federated Church, 48th & Franklin, Des Moines, which is now The Mission Church, Urbandale. Three daughters were born of this union - Christine Ann Mease, Pamela Louise Lee, and Amy Elizabeth Masolini (John W.), and three grandchildren - Jade Elizabeth Masolini, Malary Louise Lee, and Hunter Charles Masolini. In 1956, Ted attended the David Rankin School of Mechanical Trades in St. Louis, Missouri and studied lithography. This was the beginning of a long career working in the trade and eventually selling graphic art supplies at Midwest Graphic Art Supply Co. In his young life, he worked at Star Printers in Cedar Rapids sweeping the floor and cleaning type. He shined shoes at the neighborhood tavern, had a paper route, and mowed lawns. He worked at Russell Guides Printing Company, Collins Radio, Miles Business Forms, Elko Photo Co. as a salesman, and was also a bell hop at the Roosevelt Hotel. He enjoyed stamp, coin, and fine art collecting, was interested in history, especially WWII, and he loved to travel. 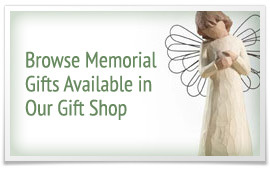 Ted’s body has been donated to Des Moines University. He was preceded in death by his parents and his brother, Herbert E. Lee. There will be a celebration of life at Franklin Junior High, 4801 Franklin Avenue, Des Moines from 2:00 to 5:00 p.m. on Sunday, April 28, 2019. The family would like to extend a special thank you to the staff at the Iowa Jewish Senior Life Center - Memory Care Unit, and Hospice of the Midwest for their care of Ted and his family, as well as Hamilton’s Funeral Home in assisting the family with arrangements.